This large porcelain tray will host a nice amount of goodies or can be used as a ceramic pizza stone for your next entertaining moment or your next outdoor grill party! 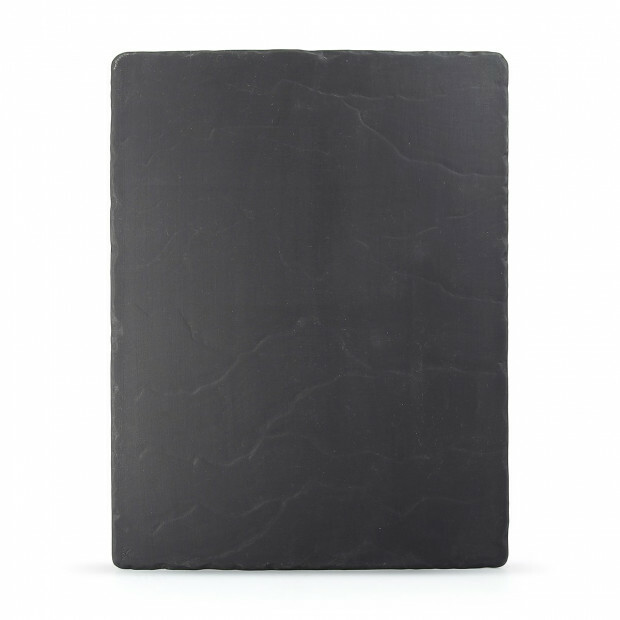 Basalt definitely has the beautiful look of slate but without the hassle of it. Revol has created a collection made of black porcelain that is perfect for everyone who likes to entertain, present all kinds of delicious small bites, and serve cheese and crackers during any gathering, outdoor or indoor. 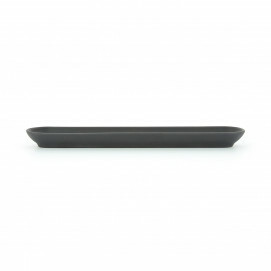 This rustic-look platter can be used multiple times during multiple occasions to barbecue (on indirect heat) bake, present cold or hot dishes without fear of chipping or scratching. Also great for homemade cakes and tarts. 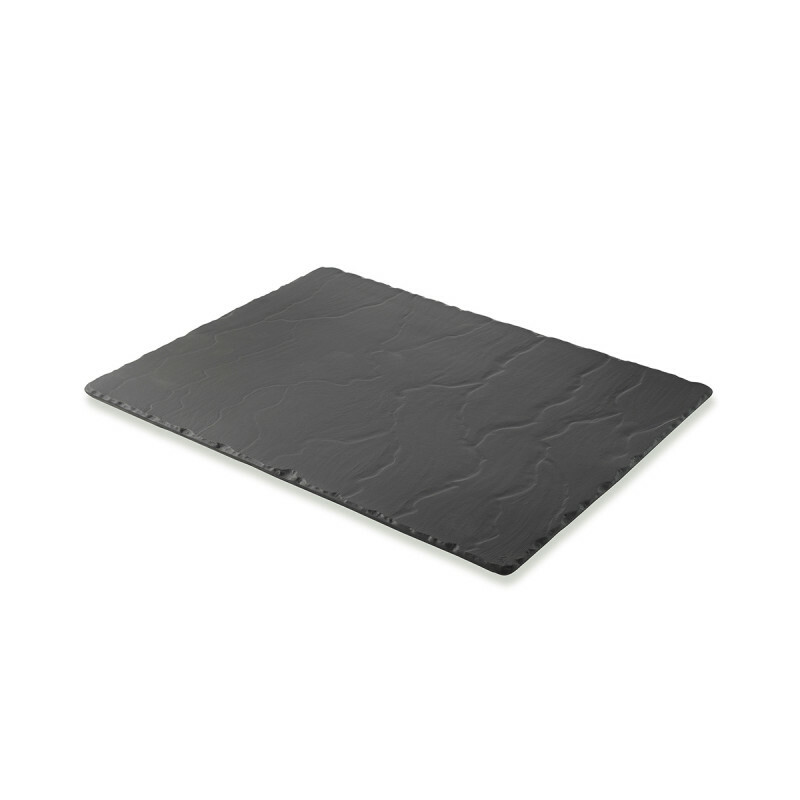 Despite natural slate stone, Basalt is nonporous, so it absorbs neither fats nor bacteria. Plus, as all the products made by Revol, the dish is also 100% safe for your health and the environment. Best of all, it's safe for freezer, oven (up to 572F), microwave and dishwasher. 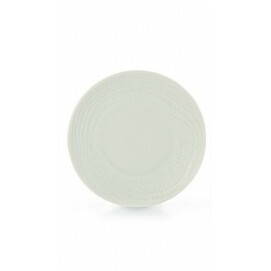 It will make a great bridal shower gift as it will resist much longer than a slate platter. Made of black clay, the entire piece is black all the way through. This will not alter baking process – feel free to use this board as a pizza tray for a large family-size rectangular pizza. Also perfect as a cookie sheet to bake all kind of cookies or savory bites. 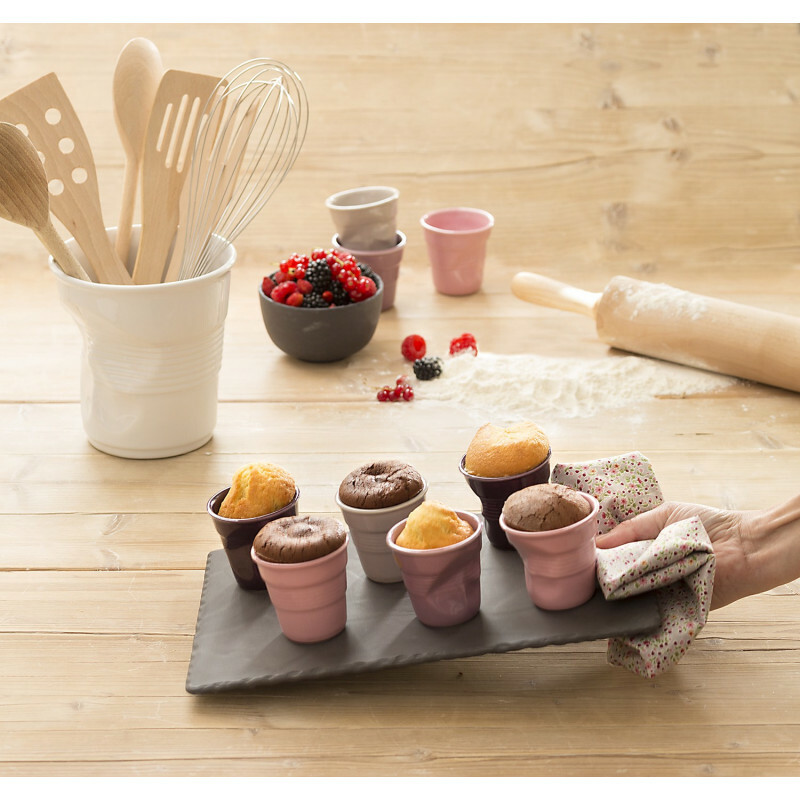 You can also serve your plate with the colorful Crumple cup or the Baslat min Bowl to present your sauces or appetizers. 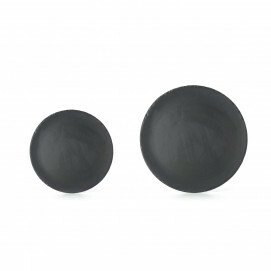 Basalt is one of the bestselling collections of REVOL. 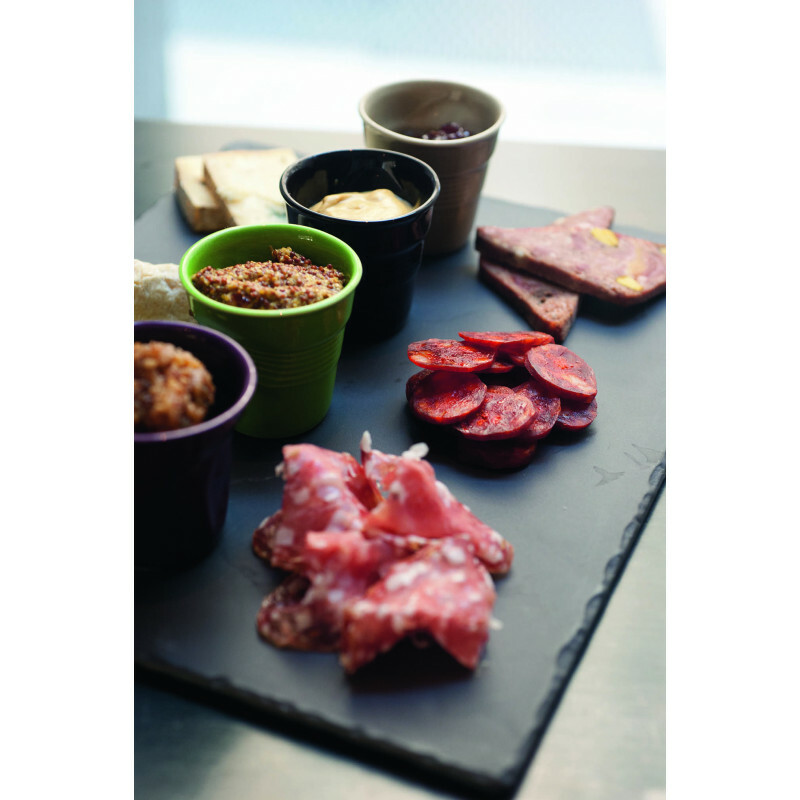 Created to imitate slate, this line includes a large range of trays, platters and boards that look exactly the same than slate but will perform better.